New Smyrna Beach, FL – At WeatherFlow we truly believe that better data leads to better decision-making. Hence, the expansion of our weather network must be carefully planned. Locations are judiciously chosen to provide high-quality weather data from the ideal sites. At times, WeatherFlow’s expansion efforts are influenced by local grassroots efforts. 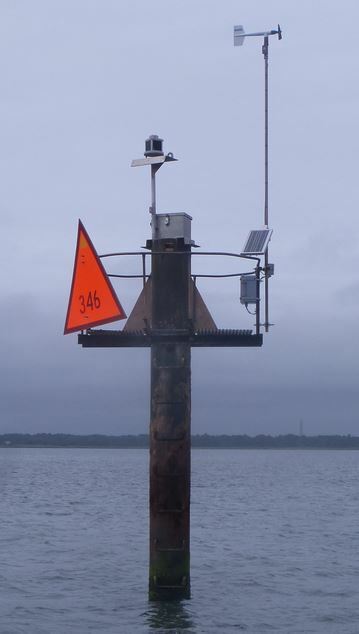 The recent addition of the Ludlam Bay weather station (pictured left), in New Jersey, is an example of how individuals in the community can work with WeatherFlow to achieve high-quality weather data in the ideal location. To learn more about how you can work with WeatherFlow on a weather station project, Contact Us.